European steel demand is likely to fall further this year before a mild rebound takes hold in 2014, though it will remain well below pre-crisis levels, steel industry body Eurofer said on Tuesday. Eurofer said in a statement that despite several economic indicators improving since November, the EU steel market “looks set to remain stuck in reverse gear”. “The late 2012 rise in bookings confirms the likelihood of a ‘technical restocking’ scenario in (the first quarter of) 2013,” said the trade group, whose members include ArcelorMittal , ThyssenKrupp and Tata Steel. “However, the market will continue to lack any positive demand impulses from end-users until the final quarter of the year,” it added. Eurofer expects “apparent” steel consumption, which takes into account changes in stock levels, to return to growth from the third quarter, but to still fall overall by 0.7 percent this year, before a 3.0 percent increase in 2014. Even then the 146 million tonnes of steel consumed or pushed into inventories would be 27 percent below the peak pre-crisis level in 2007. 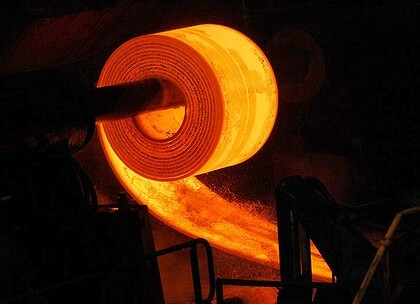 Apparent steel consumption dropped 9.7 percent in 2012, Eurofer said. Real steel consumption, reflecting end-user demand, fell 5.1 percent last year, with a further drop of 1.8 percent seen this year and a 2.0 percent rise in 2014. Growth would only come from the final quarter of this year.